J.K. Rowling is the author of the bestselling Harry Potter series of seven books, published between 1997 and 2007, which have sold over 450 million copies worldwide, are distributed in more than 200 territories and translated into 79 languages, and have been turned into eight blockbuster films by Warner Bros. She has written three companion volumes to the series in aid of charity: Quidditch Through the Ages and Fantastic Beasts and Where to Find Them in aid of Comic Relief; and The Tales of Beedle the Bard in aid of her children's charity Lumos. 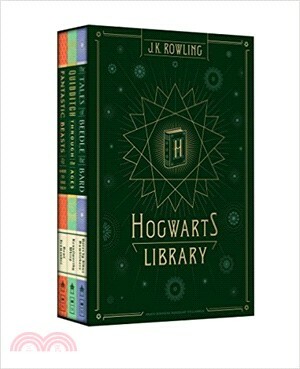 Her website and e-publisher Pottermore is the digital hub of the Wizarding World. She has recently collaborated with writer Jack Thorne and director John Tiffany on the stage play Harry Potter and the Cursed Child Parts Parts One and Two, which is now running at The Palace Theatre in London’s West End. J.K. Rowling is also the author of a novel for adult readers, The Casual Vacancy, and, under the pseudonym Robert Galbraith, is the author of three crime novels featuring private detective Cormoran Strike, which are to be adapted for BBC television. Fantastic Beasts and Where to Find Them marks J.K. Rowling's screenwriting debut.